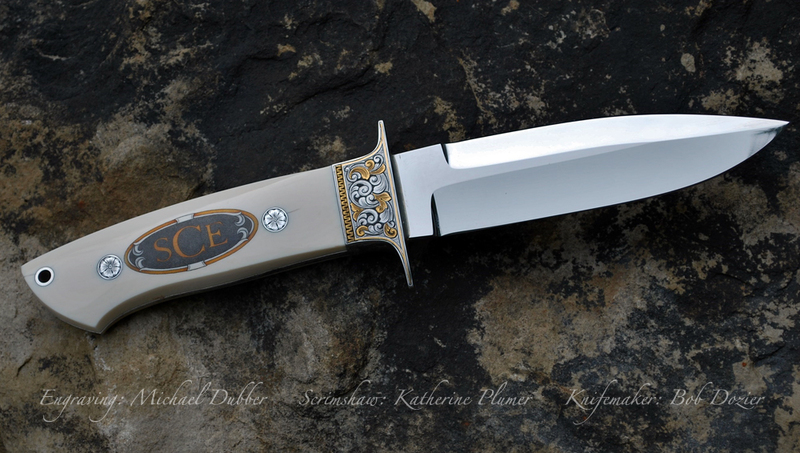 My life, under the microscope...: Cape Buffalo knife now REALLY done! And now featuring engraving and inlay on the bolsters and rivets by one of my absolute favorite people, Michael Dubber! I had to jump up and down and do the happy dance when I saw how COOL this turned out. YOWZA!!! Click on the pics to see these a little bit bigger!